Creative Web4U is one of the top & the Best Web Designing Company in Bangalore catering to all businesses and individuals with a commitment to provide innovative ideas and creative web designs through the latest and best available technologies. We provide customised website designs, Web Development and SEO service as per your business needs. At CreativeWeb4U, we design a global platform to exhibit your business online helping you spread worldwide and reaching customers beyond expectation through your website designed by us. We are included as the best web designing company in Bangalore, India. CreativeWeb4U has been delivered a successful report for all of its projects and meets all requirements of Clients with proper output. Creative Web4u is on top and marked as a flashy Web Designing Companies in Bangalore, India and being also recognised as Best and Top Web Development companies in India. We also help you reach your customers with a best online image by giving a make-over to all your existing and outdated websites by redesigning and updating it. CreativeWeb4U is a turnkey solution for all your online needs like Web Designing, Ecommerce Websites, Responsive Websites, Web Development, SEO services, SMM services, SMO services, SEM services, Graphic Designs, LOGO Designs, Company branding and Online Business Promotions. Designing is all about a great visualization and we at CreativeWeb4U have a team of good visualizers who have the expertise to instantly put across your business needs conceptualized into a beautiful website design that will reap you profits through global clientele. 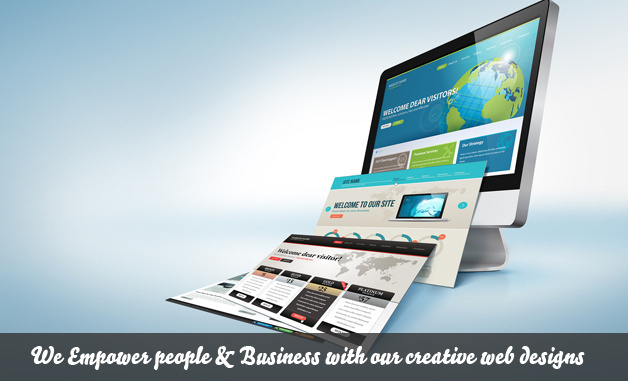 At CreativeWeb4U, our main objective is to provide results with good Quality Website Designs and Development.